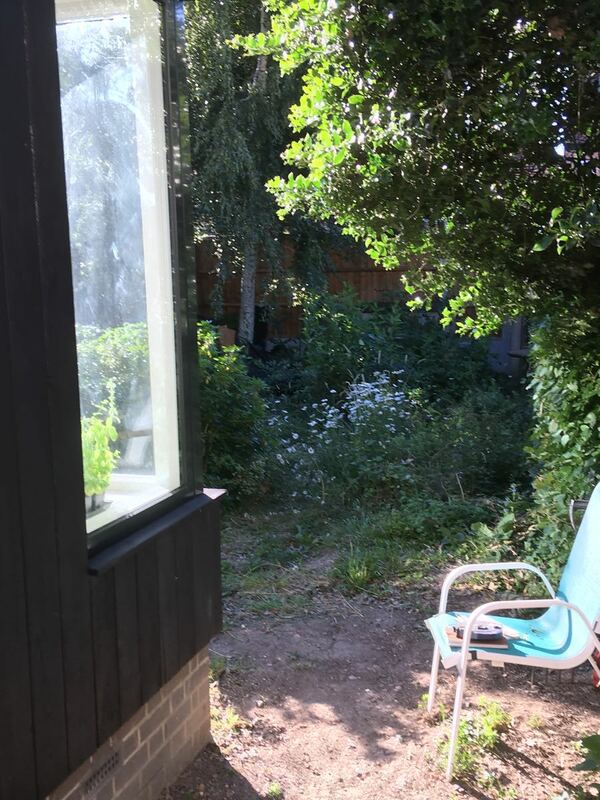 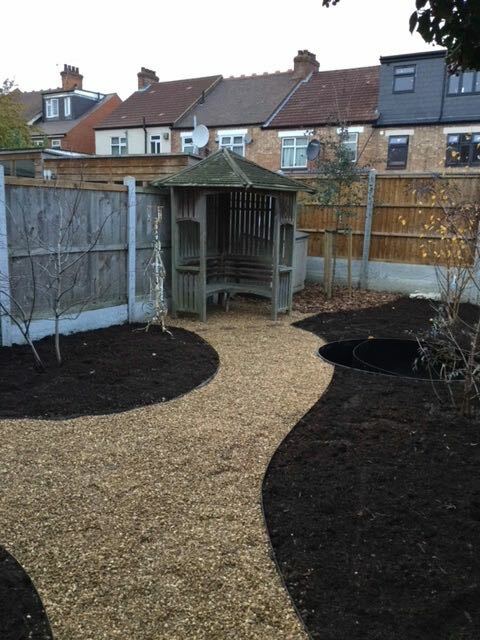 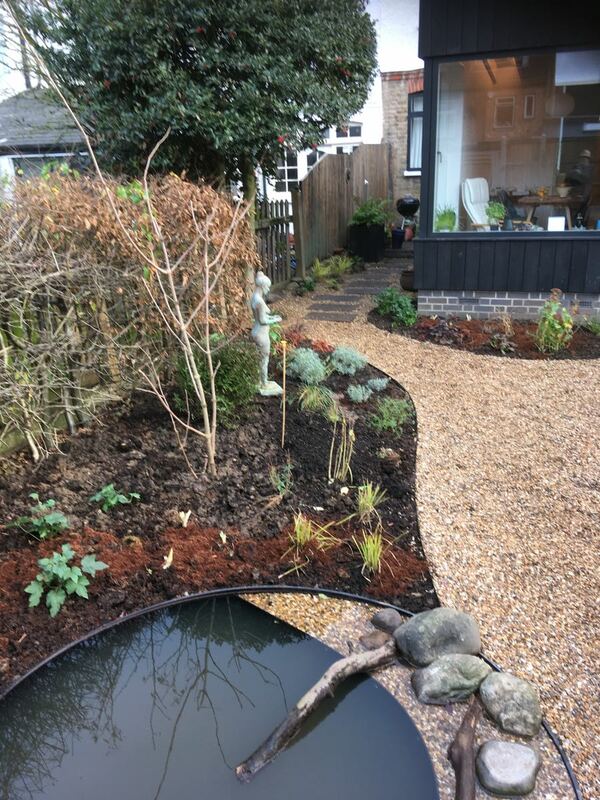 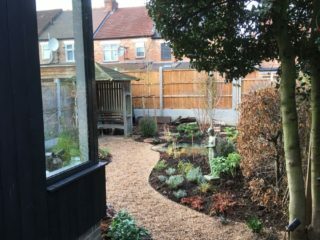 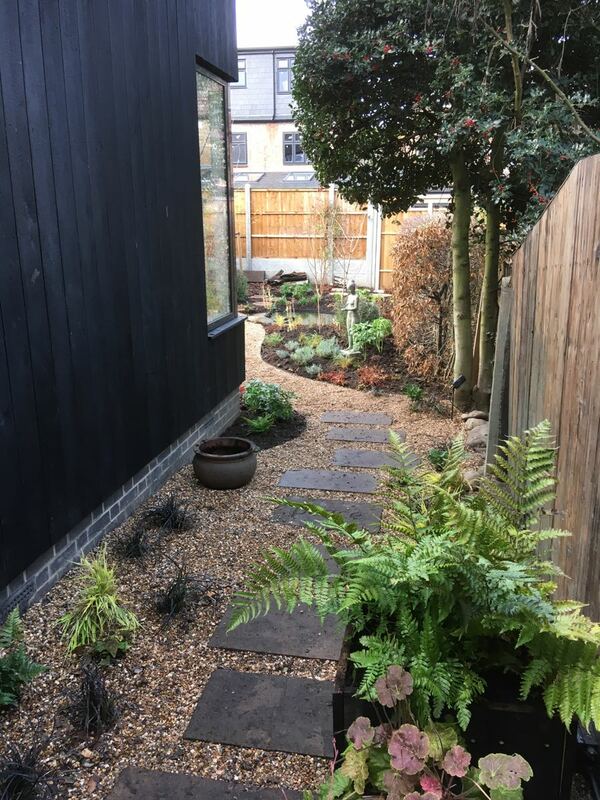 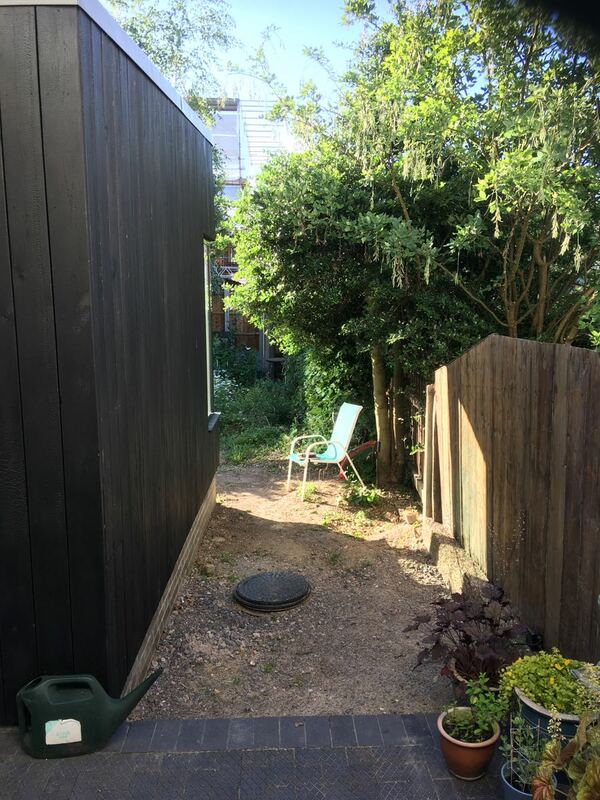 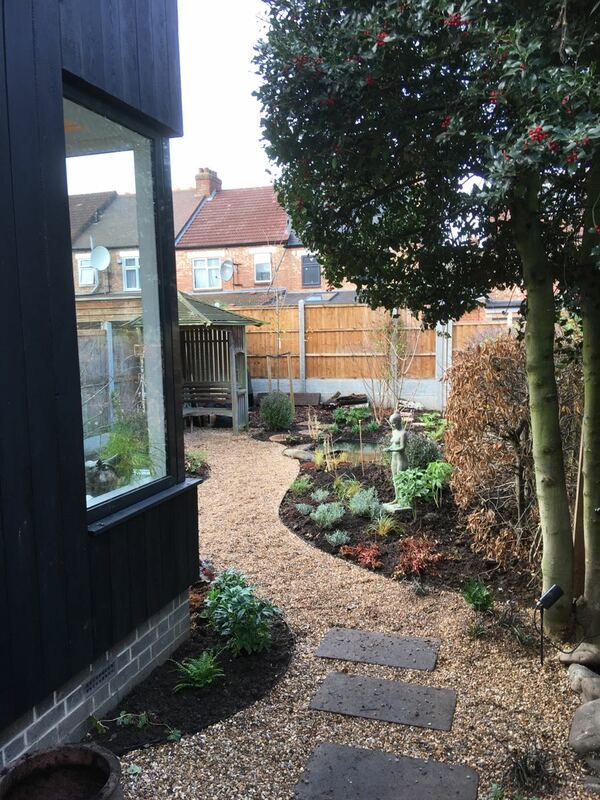 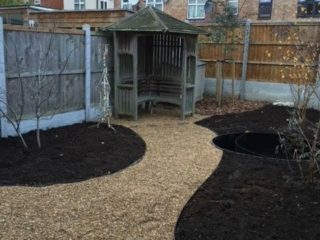 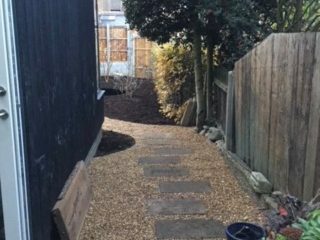 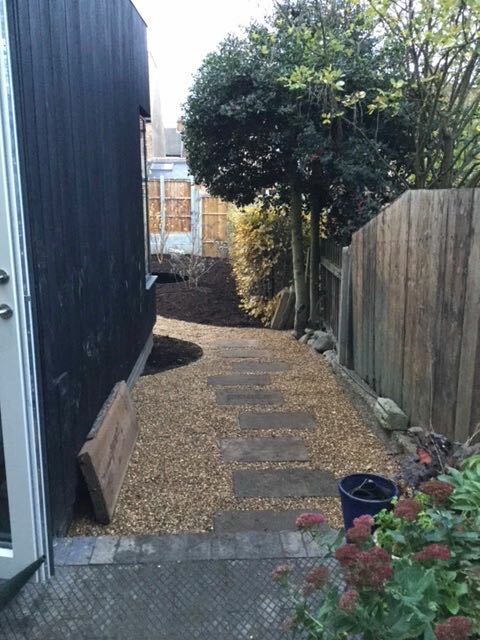 The brief for this London garden was that it be wildlife friendly but also offer a fun yet practical space for the homeowners. 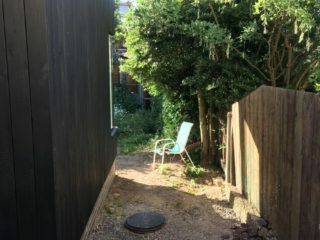 We repurposed many on-site materials. 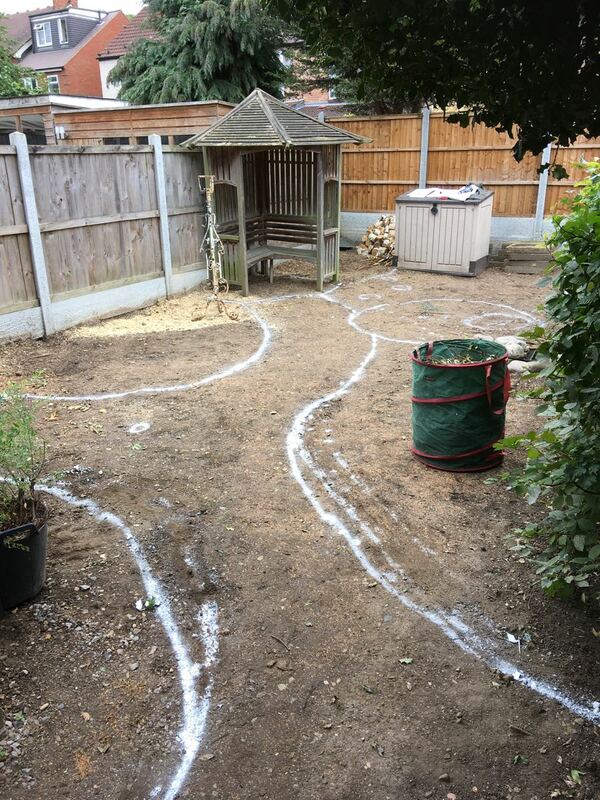 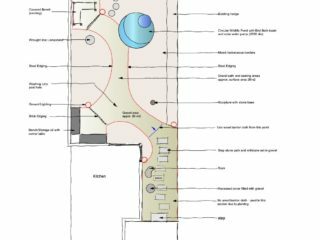 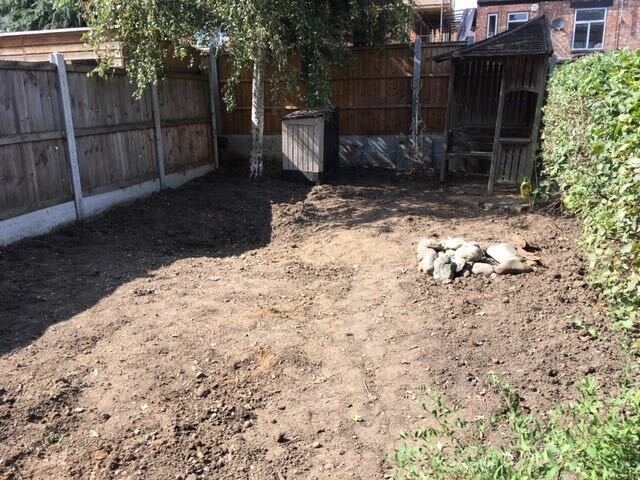 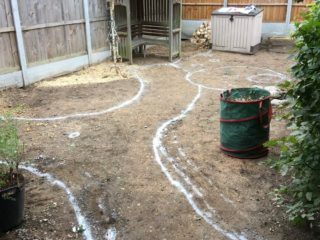 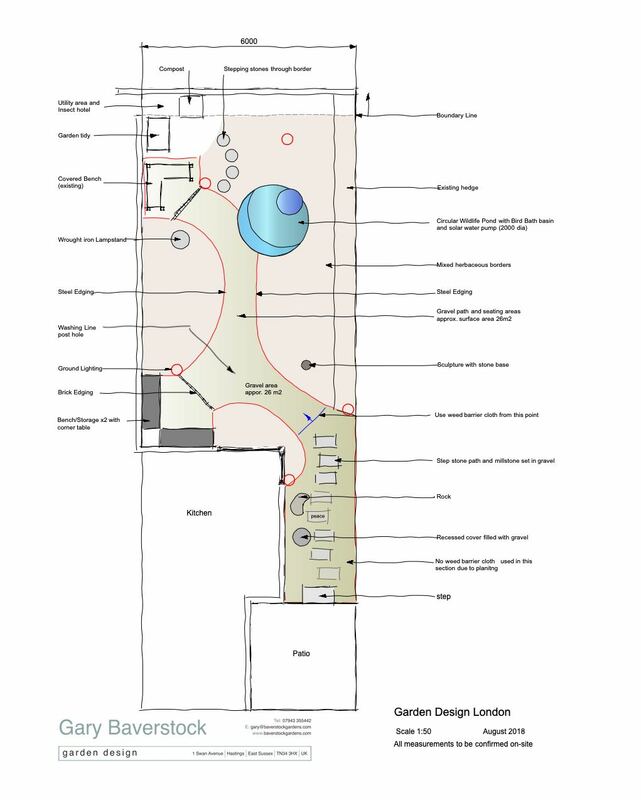 Making sure that storage, a compost area and a place for the washing line was all fitted into the design. 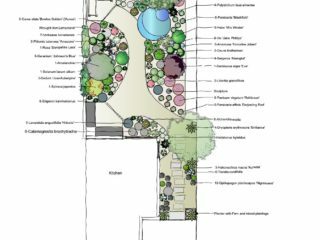 Plants include the lovely Amelanchier or Serviceberry tree and a multi-stem Silver Birch. 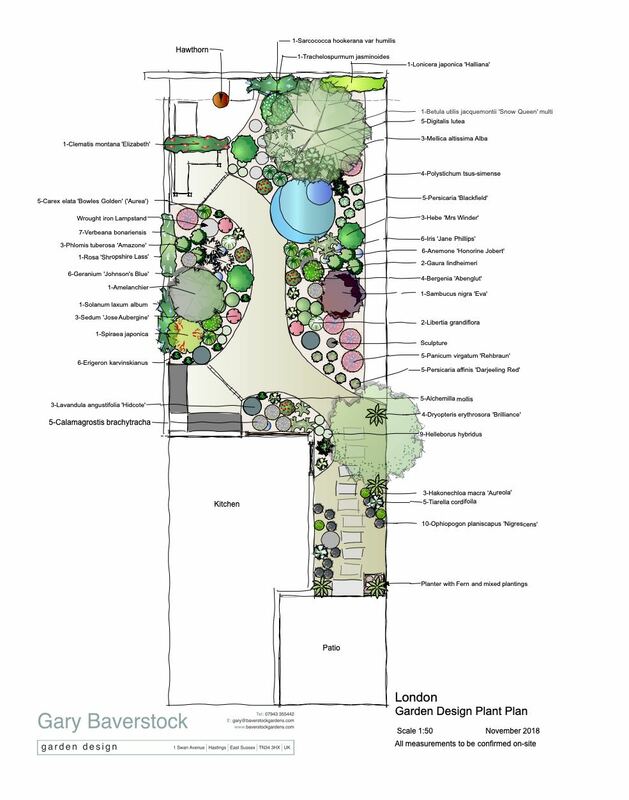 The Silver Birch alone can support up to 250 species of birds and insects. 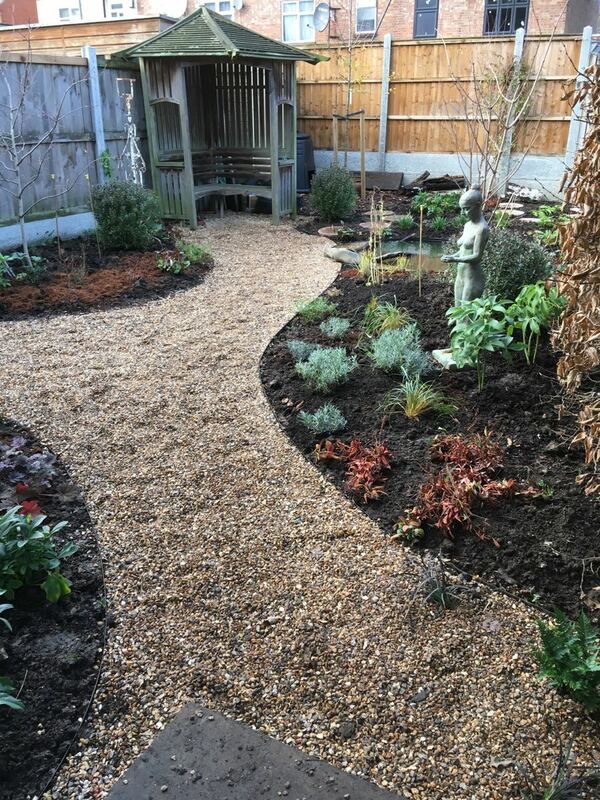 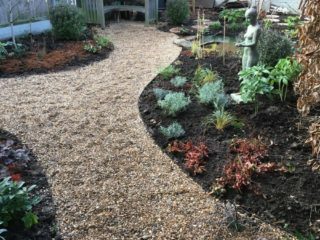 Other plantings include a mix of evergreen and herbaceous plants. 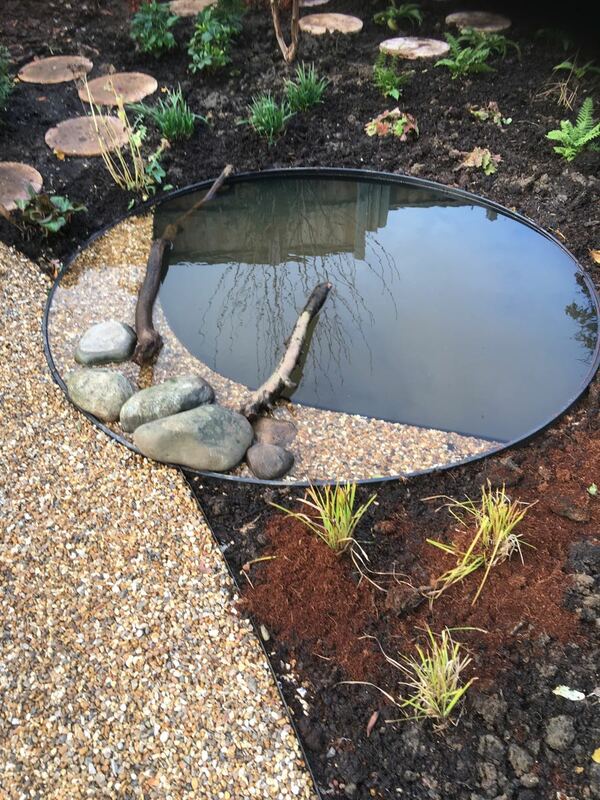 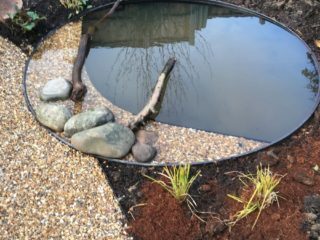 The circular wildlife pond has a crescent moon shaped beach area for smaller creatures to use the pond too. 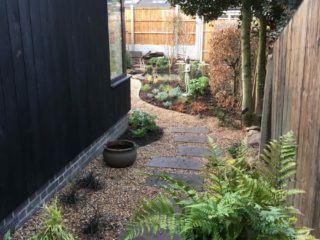 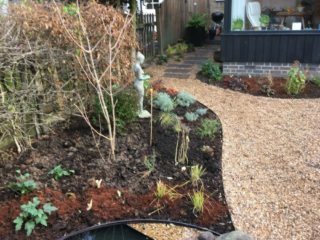 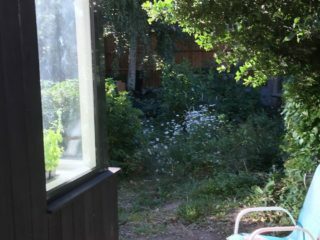 This garden was planted late autumn 2018.